The concept of using fiber optics as a principle technology in communications is not a new one. The use of this technology in modern internet connections, however, is a relatively recent development. In fact, this adaptation of the technology is so recent that many modern consumers still do not have access to it. This is a trend that is gradually changing, though, especially in urban areas as companies upgrade to fiber optic capabilities in order to be able to provide faster broadband internet to consumers. What is fiber optic broadband and how does it work? Fiber optic broadband internet services work much like other types of internet services. However, instead of using electrical signals to send data, they use light that is transmitted through cables made of transparent fibers. This allows much larger amounts of data to be sent much faster than was previously possible. The use of fiber optics for internet and network access does come with some challenges, chiefly due to light distortion over long distances. This is a nuisance that had been costly to fix previously, but in recent years the use of amplifiers has become a more common and economical solution for internet service providers. This has allowed fiber optic internet to become available even in many smaller cities. 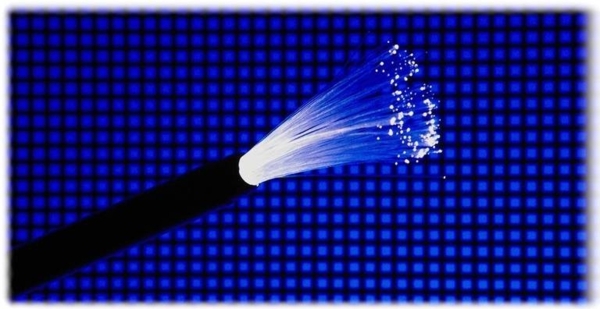 Is fiber optic internet a viable solution for your home or business broadband internet needs? Today’s fiber optic internet is unquestionably faster and more reliable than most of its alternatives. However, you should consider several different points when deciding if fiber optic broadband internet can meet your internet service needs, whether for your home or your business. Although the availability of this technology has become much more widespread in recent years, it may not be available in your area. Even if it is available in your area, it may still not be the right decision for you or your business. Finding out if fiber optic service is available in your area may be more complicated than checking a provider’s online service maps. In many cases, you will need to contact the service providers directly to ask if fiber optic service is available at your address. If there is service available in your area, a service provider will most likely have different service plans available depending on the connection speed you choose. How might fiber optic internet benefit a business specifically? In today’s business market, even small competitive edges can be crucial. A competitive edge is exactly what a fiber optic internet connection for your business can potentially provide. It is important, however, that you choose the service your business needs. Smaller businesses may not need to install business networks with fiber optic communications, while somewhat larger or internet-heavy businesses may benefit from their use tremendously. Today fiber optic internet is more affordable and available than ever before. It can give you access to a network that can provide connections of 40 mbps or faster – something that was virtually unheard of only a few years ago. Fiber optic broadband internet can be the perfect solution for your home or business internet needs.